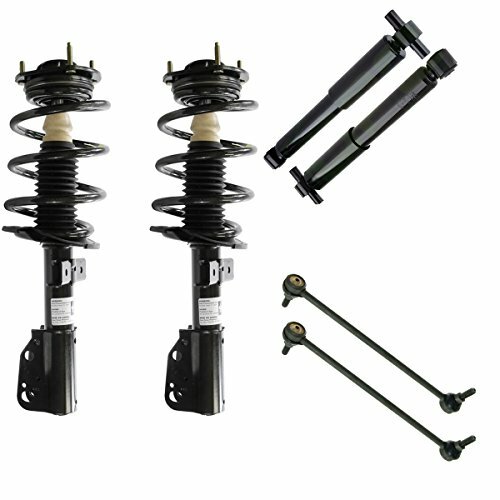 x2 Front Driver or Passenger Side Complete Strut & Spring Assembly - 172248 Fitment: 2005-2010 Chrysler - 300, RWD 2.7/3.5L 2006-2010 Dodge - Charger, RWD 2.7/3.5L 2005-2008 Dodge - Magnum, RWD 2.7/3.5L Detroit Axle is a leading supplier of ride control products to OE vehicle manufacturers Nationwide, that expertise translates to Detroit Axle's OE-quality Aftermarket. 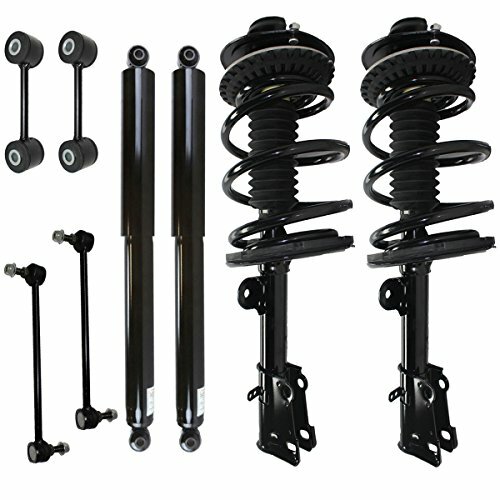 21x Front Driver Side Complete Strut Assembly - 1725271x Front Passenger Side Complete Strut Assembly - 172526 2x Rear Complete Driver / Passenger Side Shock Aborbers - 4345055 Fitment: 2012-2013 Chevrolet Captiva Sport22007-2015 Chevrolet Equinox excluding 19" wheels and sport suspension] - 2010-2015 GMC Terrain excluding 19" wheels2007-2009 Pontiac Torrent excluding 19" wheels and sport suspension2008-2010 Saturn Vue Not for RedLine2007-2009 Suzuki XL-7 without 3rd row seating Detroit Axle suspension kits are manufactured to exceed original equipment standards and provide a better riding vehicle. 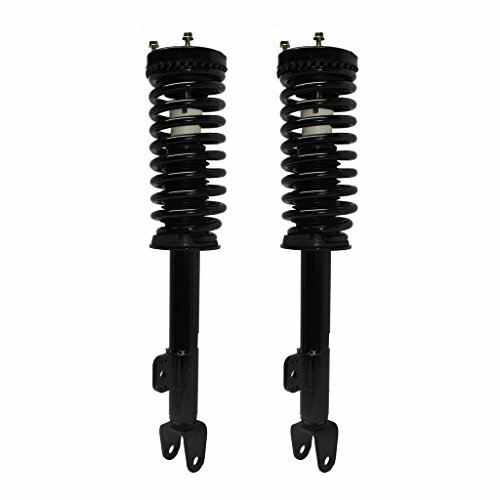 We are a leading supplier of ride control products to OE vehicle manufacturers Nationwide, that expertise translates to Detroit Axle's OE-quality Aftermarket. 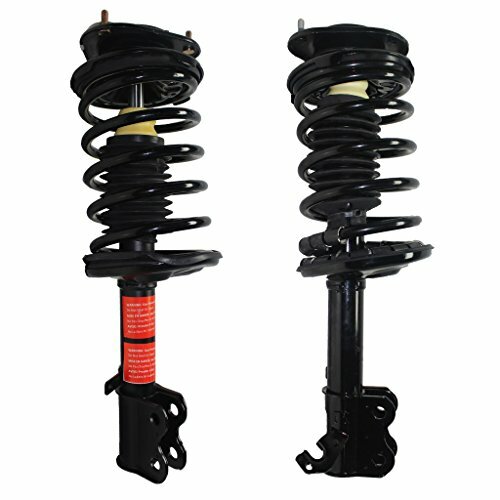 x1 Front Passenger Side Coil Spring and Ready Strut Assembly fits - 172536 x1 Front Driver Side Coil Spring and Ready Strut Assembly fits - 172537 Fitment: 2005-2007 Honda - Odyssey Detroit Axle is a leading supplier of ride control products to OE vehicle manufacturers Nationwide, that expertise translates to Detroit Axle's OE-quality Aftermarket. 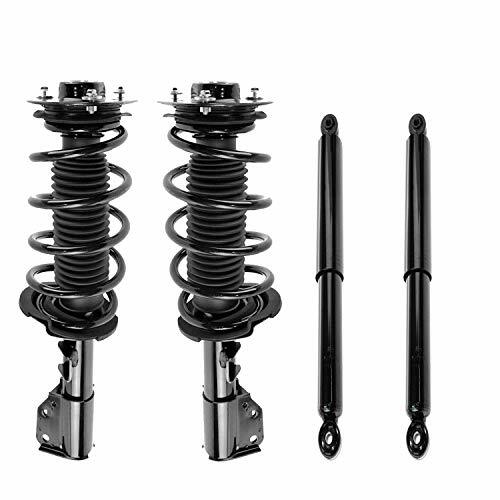 1x Front Passenger Side Complete Strut & Spring Assembly - 171572R 1x Front Driver Side Complete Strut & Spring Assembly - 171572L 2x Front Stabilizer Sway Bar End Link Driver and Passenger Side - K7258 2x Rear Driver & Passenger Side Shock Set - 432290 2x Rear Stabilizer Sway Bar End Link Driver and Passenger Side - K7301 Fitment: 2001-2007 Chrysler Town & Country FWD w/o Nivomat Rear Suspension 2001-2007 Dodge Caravan FWD w/o Nivomat Rear Suspension 2001-2007 Dodge Grand Caravan FWD w/o Nivomat Rear Suspension 2001-2003 Chrysler Voyager FWD w/o Nivomat Rear Suspension Detroit Axle ready struts are manufactured to exceed original equipment standards and provide a better riding vehicle. We are a leading supplier of ride control products to OE vehicle manufacturers Nationwide, that expertise translates to Detroit Axle's OE-quality Aftermarket. 1x Front Driver Side Complete Strut & Spring Assembly - 172308 1x Front Passenger Side Complete Strut & Spring Assembly - 172307 1x Rear Driver Side Complete Strut & Spring Assembly - 172310 1x Rear Passenger Side Complete Strut & Spring Assembly - 172309 Fitment: 2007-2008 Lexus ES350 2006 Toyota Avalon Built After (12/05 Production Date) 2007-2011 Toyota Avalon 2007-2011 Toyota Camry Detroit Axle ready struts are manufactured to exceed original equipment standards and provide a better riding vehicle. We are a leading supplier of ride control products to OE vehicle manufacturers Nationwide, that expertise translates to Detroit Axle's OE-quality Aftermarket. 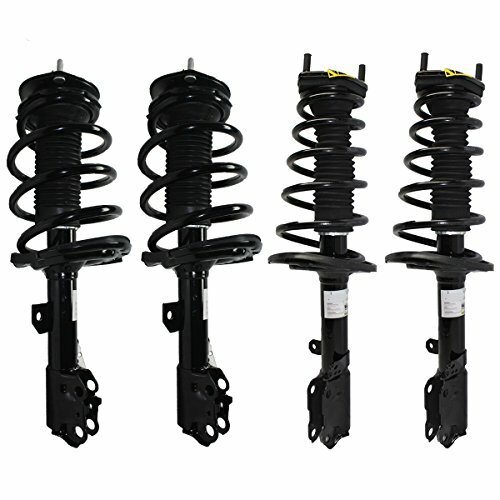 x1 Front Passenger Side Complete Strut & Spring Assembly - 271951 x1 Front Driver Side Complete Strut & Spring Assembly - 271952 Fitment: 1998-2002 Chevrolet - Prizm 1993-1997 Geo - Prizm 1993-2002 Toyota - Corolla Detroit Axle is a leading supplier of ride control products to OE vehicle manufacturers Nationwide, that expertise translates to Detroit Axle's OE-quality Aftermarket. 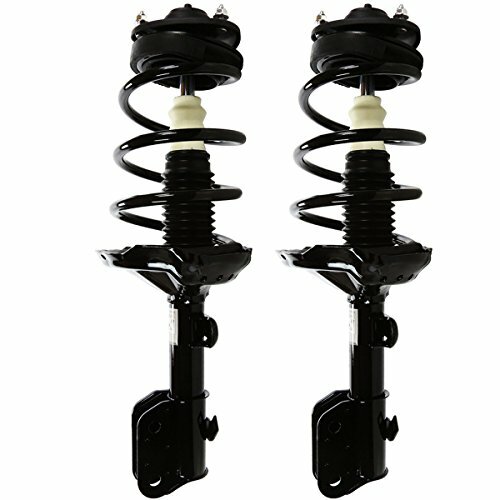 2x New Complete Front Quick Strut w/ Springs + Front Sway Bar Link Set and Rear Shock Absorber - 80370-6 Fitment: 2008-16 Buick Enclave 2009-16 Chevrolet Traverse 2007-16 GMC Acadia 2007-10 Saturn OutlookDetroit Axle is a leading supplier of ride control products to OE vehicle manufacturers Nationwide, that expertise translates to Detroit Axle's OE-quality Aftermarket. 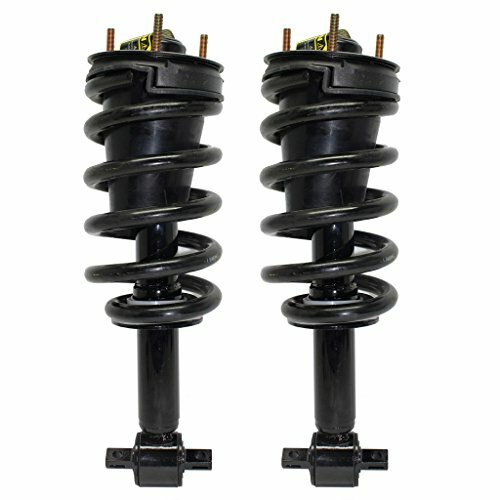 Want more Strut Front Axle similar ideas? Try to explore these searches: Stoneware Platter, Russell Mesh Shorts, and Estate 30 Indoor Ceiling Fans.